We’re offering one lucky reader the opportunity to win a beautiful bundle of weaning essentials. 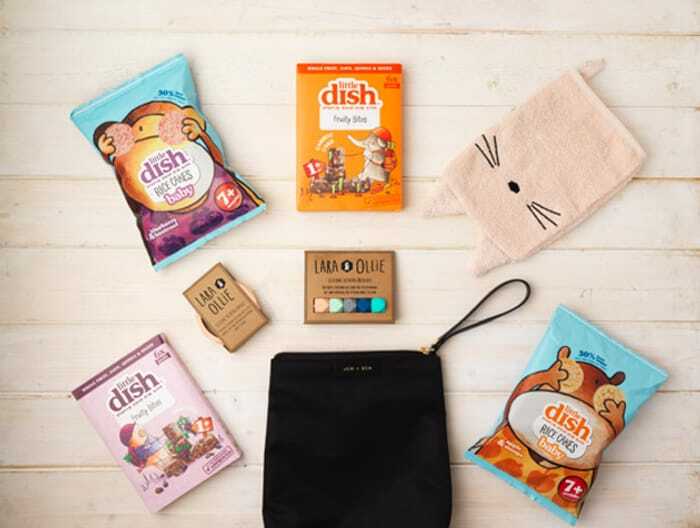 The prize package includes: three months’ worth of Little Dish Baby Rice Cakes and Little Dish Fruity Bites*, a brand-new Snack Pouch from Jem + Bea’s SS18 collection, a Lara & Ollie Teething Necklace and Bangle and a Liewood washcloth. Two runners up will also win three months’ supply of new Little Dish snacks.